Contrary to popular belief, a fever is not a symptom to be treated but a sign of a healthy, functioning immune system naturally working to heal the body. The rise in body temperature is caused by the intensification of efforts by the body's defenses as they fight microbes and purify the internal terrain. Lowering a fever through the use of drugs counters the body's ability to fight illness, infection, or poisoning and can greatly lengthen recovery time. This book explains the natural process of a fever, how to properly measure it, and how to best support the body during the three different stages of fever through the use of hydrotherapy, medicinal herbs, and diet. Providing guidelines on the dangers of fever, it details how to know when a fever is too high or has gone on too long and what to do to bring it down and aid the body's recovery. It also explains how to create an artificial fever as a means of detoxification and rejuvenation. 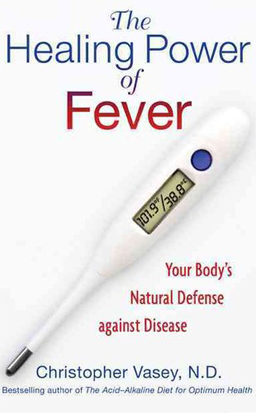 This book helps us understand what a fever really is and how it can benefit the body. It also teach us to stop considering fever as an enemy to be conquered and start seeing it as the healing ally that it truly is.